One of the early experiences I remember well is watching Doctor Who. I always sat on the settee, with a cushion close at hand – and when things seemed to be getting to frightening I’d bring the cushion up to my face and peep over the top. If things looked really bad I’d hide behind the back of the settee – peeping out occasionally – with my imagination running riot! I’ve carried this forward into adult life – some friends and I went to the cinema to watch Braveheart. The film has some very graphic and dramatic battle scenes. I was unaware of how I was responding. Each time an axe hit someone’s torso I was apparently jumping in my seat. At one point, I looked along the row of friends to find that they were all watching me rather than the screen. I always get engrossed in what I’m watching on TV or at the cinema – and I find that I can usually anticipate the story line. My imagination works overtime – and if I’m not careful when I am watching TV, I find that the anticipation has got the better of me – I’ve got up from my seat and left the room. Before I even realize what I’m doing, I am in the kitchen putting the kettle on to boil! In some things we watch on TV it is easy to get ahead of the action, anticipate what is going to happen and react accordingly. We have a similar, but greater, problem with Holy Week and the Easter story. We can anticipate everything that is going to happen. It’s not that the plot is predictable or easy to anticipate – for us it’s the problem of hindsight. We know that Palm Sunday’s jubilation was followed by the despair of Good Friday. We know that the seeming failure of Good Friday was quickly overtaken by the triumph of the first Easter Day. Hindsight is supposed to be beneficial – but in the case of the Easter story it robs us of the possibility of living through the events as they happened. What was going through the disciple’s minds as they came into Jerusalem on that first Palm Sunday? What was Jesus feeling as he rode into Jerusalem on that donkey? 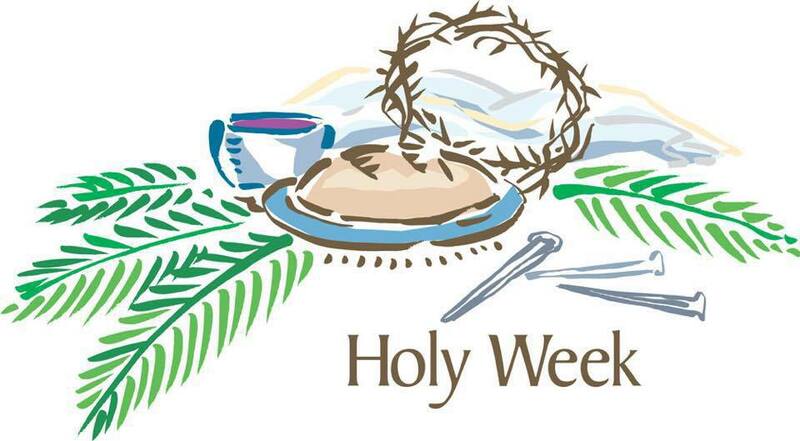 Our danger is that knowing the outcome we minimize the intensity of the events and feelings of Holy Week because we know it turned out OK in the end. What was Jesus feeling as he entered Jerusalem knowing what the week ahead would hold? Was he was already feeling that overwhelming sense of loneliness that comes when we are completely misunderstood. How many times had he told his disciples that he was going to Jerusalem to die? How often had they failed to hear what he said? Palm Sunday dramatizes for us the chasm in understanding which existed between Jesus and everyone around him – his disciples and the happy shouting crowds. … Jesus was alone. Really alone – no one understood what he was doing – no one grasped what was about to happen! When we talk of Christ’s suffering – we think primarily of the Cross. We miss the agony of the anticipation, the loneliness of the last week of his life. The shame of abandonment and torture. … And because we miss his anguish we minimize the significance of many of the events of that last week. With the benefit of hindsight we rush on to the resurrection – to the good news. As Jesus repeatedly talks about his death his disciples remain at best confused, at worst oblivious to what he is saying. And the loneliness Jesus felt in the crowd of Palm Sunday, gets replaced by the loneliness of the garden of Gethsemane. Only he can walk this road. No one will walk it with him! When we grasp this, we will begin to be able to believe that Jesus understands our loneliness. … He knows the loneliness of the cell for those in solitary confinement; those condemned to die for their faith. But more than that – he feels the dark loneliness of depression; he is with us in the loneliness of the hospital bed; he knows the loneliness of watching other people=s pain; and he knows the loneliness of being misunderstood. It=s not just that he cares – he knows what we go through. He is the one that has gone before – he is the one who calls us on – in spite of the darkness or the pain – to continue to serve, to continue to love, to continue to hope. So, as we live through this Holy Week, lets not get to far ahead of the plot anticipating the final outcome. Let’s rather to the best of our ability stay with the story watching and feeling it unfold. For then, perhaps only then, will we really begin to understand how much God loves us. This entry was posted in Ashton-under-Lyne Blog, Comment on March 29, 2015 by rogerfarnworth.